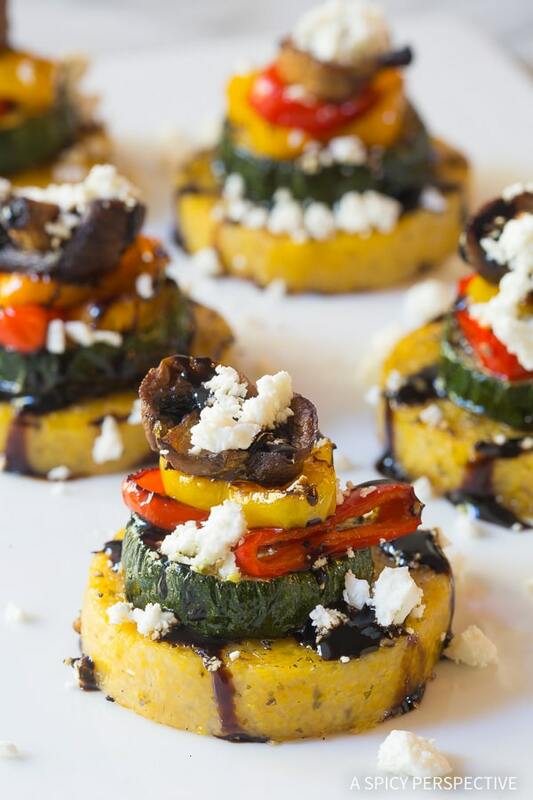 Easy Sheet Pan Roasted Vegetable Polenta Stacks, an elegant vegetarian appetizer or main course! Party season is in full force. 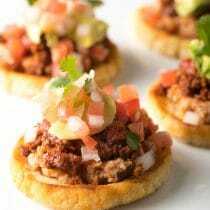 We’ve been to, and hosted, multiple parties over the last few months, so I’m always pondering new ways to whip up easy appetizers that pack a punch. 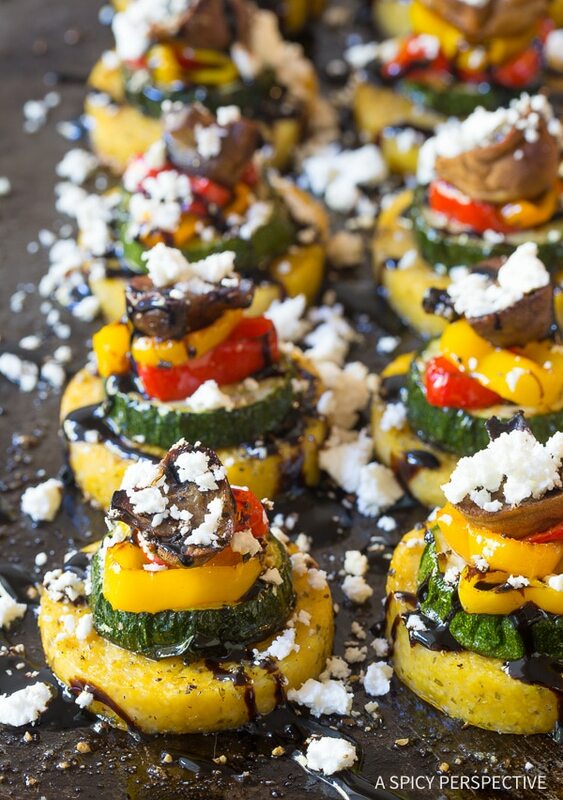 Today’s Sheet Pan Roasted Vegetable Polenta Stacks are not only visually appealing, they taste fresh and delicious with roasted vegetables, sweet balsamic glaze, and a little bit of salty feta cheese on top. 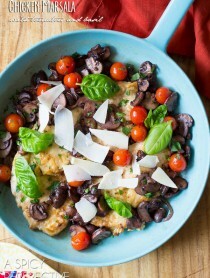 The crispy polenta base is a comforting platform for all sorts of goodness! 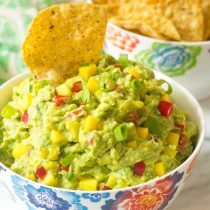 This show-stopping party snack is low in fat and calories, gluten free, and vegetarian. They could even be vegan, if you swapped the feta cheese for chopped pistachios! 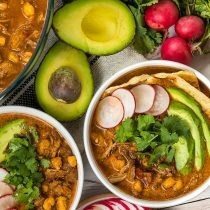 Don’t you love a recipe that looks and tastes decadent, yet is sneakily healthy? 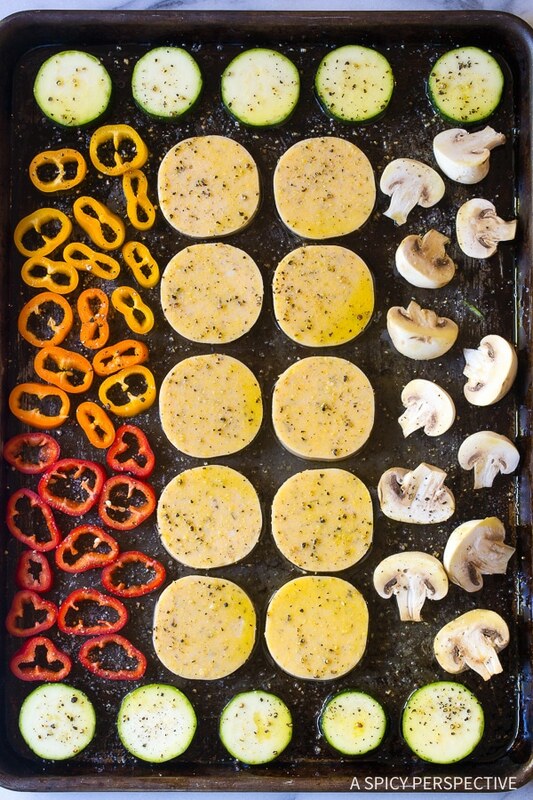 Yet best of all, Sheet Pan Roasted Vegetable Polenta Stacks are made entirely on one single pan for easy clean up. 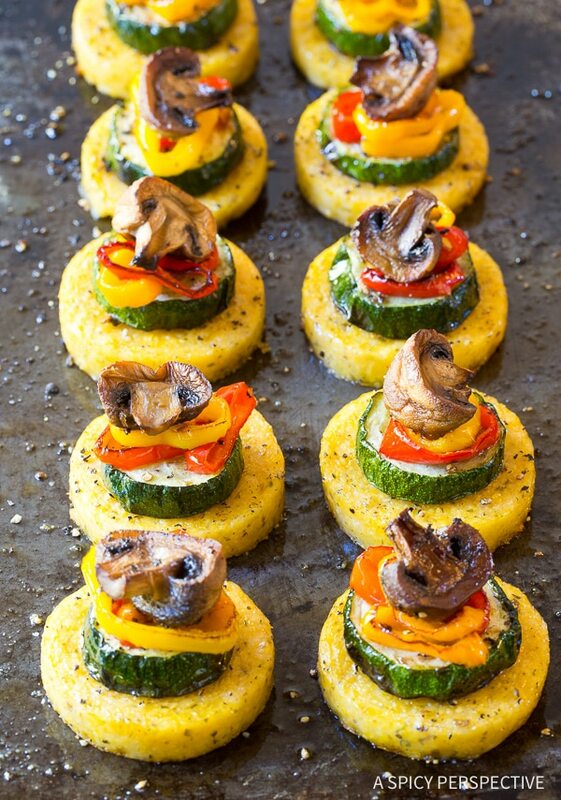 The polenta and veggies are roasted together, then stacked on the pan. You can transfer them to a serving platter, or eat them straight off the baking sheet. Coat a large 18 X 13 inch “half sheet” pan with olive oil. Slice a log of polenta and all the vegetables. Lay the polenta and veggies on the pan, then flip them over so they are coated in oil on both sides. Season generously. Roast in the oven until the edges of the polenta are crispy, and the vegetables are soft. Stack the vegetables on top of the polenta. They look prettiest with the zucchini as the first layer on the polenta, followed by the peppers and mushroom. Drizzle balsamic glaze over the top and sprinkle with feta cheese. 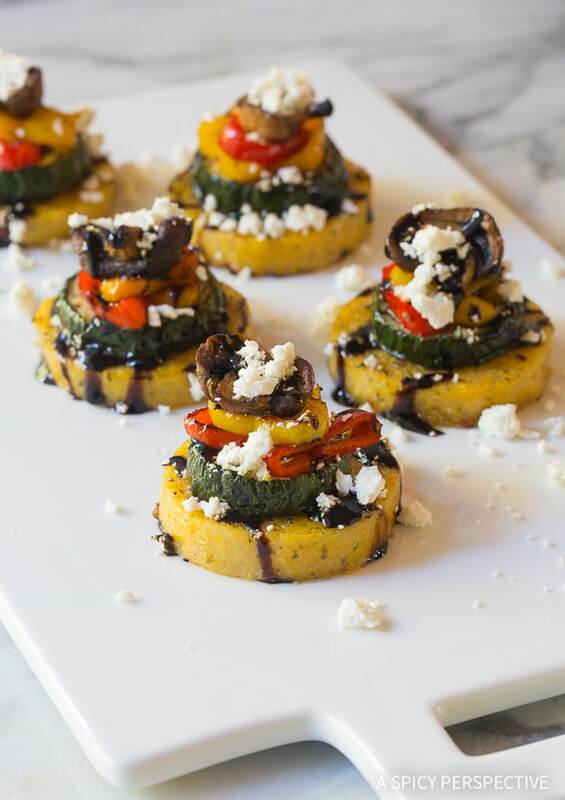 These Sheet Pan Roasted Vegetable Polenta Stacks are a dazzling hand-held party snack everyone will love. You can even serve three or four together as a vegetarian main dish this season. Check out our video tutorial below! 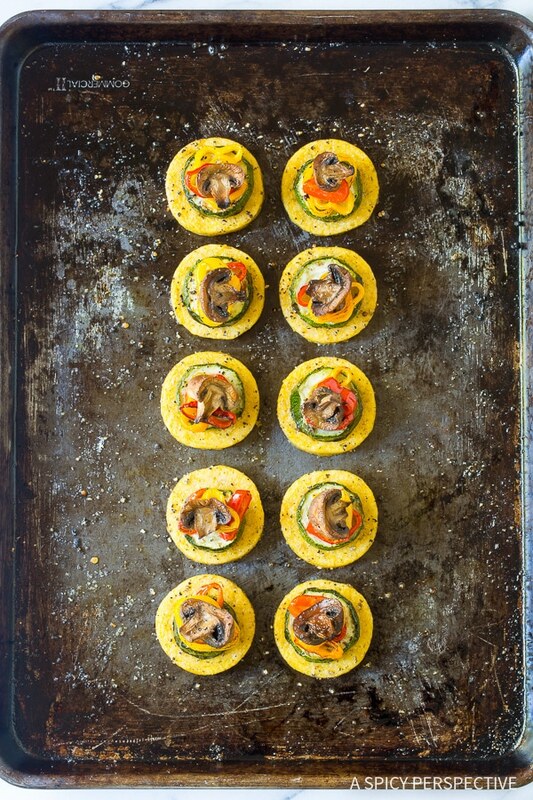 Sheet Pan Roasted Vegetable Polenta Stacks - A simple elegant one-pan appetizer (or main dish) that is gluten-free and vegetarian! Preheat the oven to 450 degrees F. Brush a half sheet pan with olive oil to coat the entire surface. Trim the curved ends of the polenta roll. Then cut the remaining roll into 10 equal slices. Lay the slices on the sheet pan, then flip them over so both sides are covered with oil. Next trim the ends off the zucchini and cut it into 10 equal slices. Lay and flip them on the sheet pan, to coat both sides in oil. Cut each mini bell pepper into 3-4 rounds, trimming off the ends. Lay and flip them on the sheet pan. Cut the mushrooms in half. Then lay and flip them on the sheet pan as well. Generously salt and pepper all the ingredients. Roast in the oven for 20-25 minutes, keeping an eye on the peppers and mushrooms. They should be soft, not charred. Once out of the oven, use a small spatula to stack the ingredients. 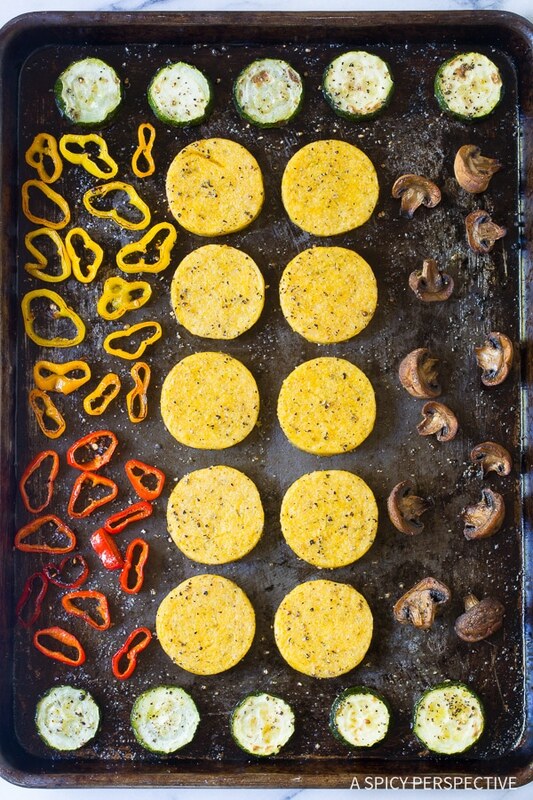 Top each polenta slice with a zucchini slice, 2-3 pepper slices, and a mushroom half. 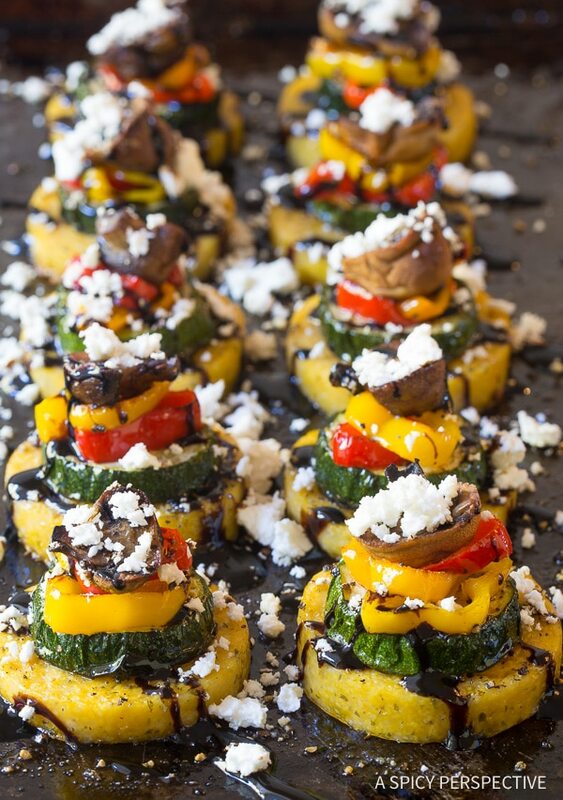 Lightly drizzle the tops with balsamic glaze and sprinkle with crumbled feta cheese. Serve warm. I made these for New Year’s Eve and I’m making them again this week for me! They were so, so good! 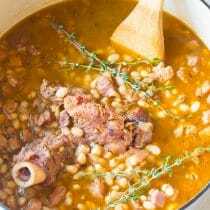 Made these for a recent dinner party and they were a smash!! 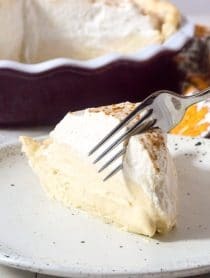 Delicious and so easy to make. available at a store, or what? 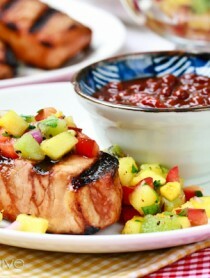 In our grocery stores balsamic glaze is sold right along side the balsamic vinegar. If you can’t find it, you can warm balsamic vinegar is a sauce pot and add sugar until the consistency reaches the thickness of maple syrup. Omg, this looks so chic! Perfect to impress during dinner. I’m definitely going to try it myself!